Dr. Monique Mills is an associate professor in the Department of Communication Sciences and Disorders. She holds a B.S. in speech and hearing from the University of Illinois at Urbana-Champaign and an M.A. in speech and hearing science from The Ohio State University. She received her Ph.D. from the University of Illinois at Urbana-Champaign. She is a licensed speech-language pathologist. Her research program examines the cognitive, social, and linguistic resources that school-age African American children draw upon to narrate and tell stories. She teaches courses on language acquisition, language disorders of middle childhood, and multicultural aspects of communication and its disorders. Dr. Nicholas De Genova joins the University of Houston as chair of the Department of Comparative Cultural Studies. He received his Ph.D., M.A. and B.A. from the University of Chicago. He previously held teaching appointments in urban and political geography at King’s College London, and in sociocultural anthropology at Stanford, Columbia, and Goldsmiths University of London. He also held visiting professorships or research positions at the Universities of Warwick, Bern, Amsterdam, and Chicago. 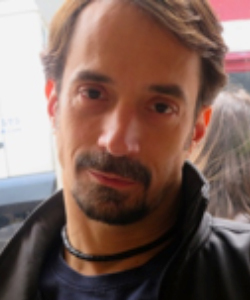 He is the author of Working the Boundaries: Race, Space, and "Illegality" in Mexican Chicago (2005), co-author of Latino Crossings: Mexicans, Puerto Ricans, and the Politics of Race and Citizenship (2003), editor of Racial Transformations: Latinos and Asians Remaking the United States (2006), co-editor of The Deportation Regime: Sovereignty, Space, and the Freedom of Movement (2010), and most recently, editor of The Borders of “Europe”: Autonomy of Migration, Tactics of Bordering (2017). 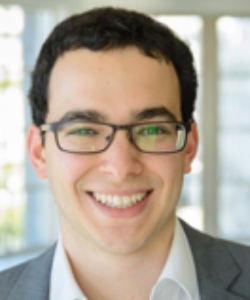 Dr. Nathan Canen pursued his Ph.D. in Economics at the University of British Columbia. His main research interests are political economy and industrial organization. 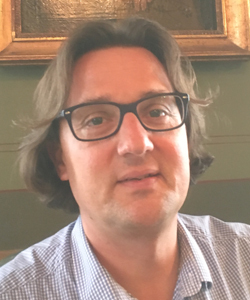 Professor Canen’s current research agenda focuses on the organization of political institutions, especially strategic interactions among politicians, firms and citizens, as well as the networks that arise therein. He also studies statistical methods that are applicable to these problems. 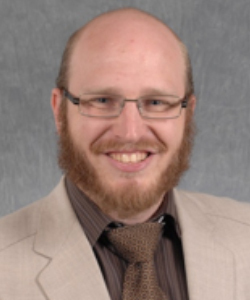 Dr. Christopher Clarke is an assistant professor in the Department of Economics. 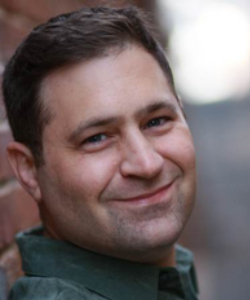 He received his Ph.D. in economics from Washington State University and holds his M.A. and B.A. from the University of Nevada, Las Vegas. Dr. Clarke studies the effects of infrastructure on the private economy and income inequality, as well as the political determinants of public capital allocation. He has over five years’ teaching experience covering the introductory, senior and master’s levels. Dr. Sunny Yang’s research and teaching center on Asian American literature and ethnic American literature of the nineteenth century, with a focus on the legal and imperial contexts of U.S. racial formation and multiethnic cultural production. She earned her Ph.D. in English with a certificate in Africana Studies from the University of Pennsylvania in 2014. Prior to joining CLASS, Dr. Yang was a visiting scholar at the American Academy of Arts and Sciences and an assistant professor of English at Louisiana State University. During the 2018-2019 academic year, she will be completing her book manuscript, Fictions of Territoriality. 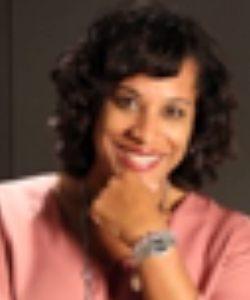 Dr. Layci Harrison has a B.S. in Athletic Training from Lock Haven University. Her M.S. is from Cumberland University, where she worked as a graduate assistant athletic trainer with the wrestling, football, and baseball teams. 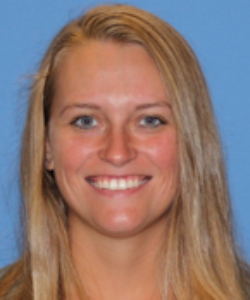 She earned her Ph.D. in health and human performance from Middle Tennessee State University while teaching in the undergraduate exercise science program. She is active in the National Athletic Trainers’ Association and looks to continue serving the profession while at the University of Houston. 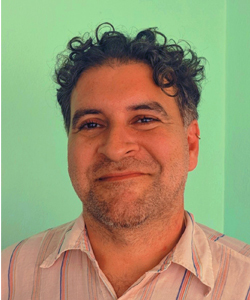 Dr. Melvin González-Rivera is an assistant professor of Spanish linguistics in the Department of Hispanic Studies at the University of Houston. 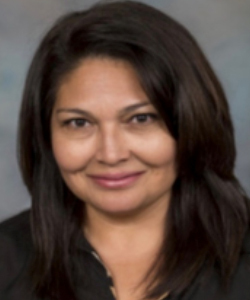 Dr. González-Rivera holds a Ph.D. in Hispanic linguistics from The Ohio State University. He specializes in syntax, semantics, pragmatics, and their interface in grammar, with an emphasis on Caribbean Spanish. He has also authored and co-edited of several books and articles on topics related to language, semantics and philosophy. María Laura Zubiate received her M.A. and Ph.D. in U.S. Latino Literature from the University of Houston. Her research and teaching interests focus on Latino communities, literature, education, labor and health. Dr. Zubiate recently published article in Hispania, “Retos y transformaciones del saber chicano,” examines the production of Chicano knowledge within relations of power and ethnicity. She joins the CLASS faculty as the coordinator of the Spanish for the Global Professions minor. David McNally specializes in the history and political economy of capitalism. The author of six books and over 60 scholarly articles, Professor McNally taught political economy at York University in Toronto before joining the Department of History at the University of Houston. He holds his Ph.D., M.A., and B.A. from York University. His research has addressed issues of race, migration, gender and social reproduction in the development of global capitalism. Professor McNally has won the Paul Sweezy Award for his book, Global Slump: The Economics and Politics of Crisis and Resistance, and the Deutscher Memorial Award for Monsters of the Market: Zombies, Vampires and Global Capitalism. Professor McNally is currently completing a book entitled Blood and Money: War, Slavery, Finance and Empire. Dr. Hamzah received her Ph.D. in media and communication from Queen Margaret University in Edinburgh. Her Ph.D. analyzes director Sir Kenneth Branagh’s filmmaking techniques, his use of mise-en-scene, and the methods of adaption in his post-Shakespeare era. In 2014, Dr. Hamzah presented her work to business leaders at the Bahrain Embassy in London as part of a national delegation. 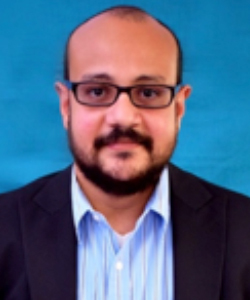 Dr. Hamzah specializes in cinema studies and film adaptation and is a professional member of the Association of Adaptation Studies and the Society for Cinema & Media Studies. Dr. Dani Madrid-Morales earned his Ph.D. in media and communication from City University of Hong Kong. 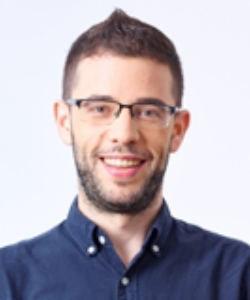 He holds bachelor’s degrees in journalism and East Asian studies from Universitat Autònoma de Barcelona and a master’s degree in international relations from Freie Universität Berlin. 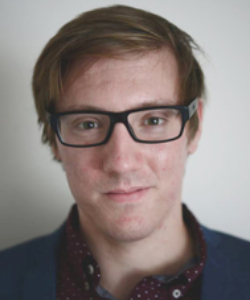 His research focuses on transnational news and entertainment flows, particularly between countries in the Global South, and journalistic practice in Africa and East Asia. Prior to pursuing an academic career, Dr. Madrid-Morales worked as a broadcast journalist covering international politics in Barcelona. At the Jack J. Valenti School of Communication, he will teach journalism courses to undergraduate and graduate students. 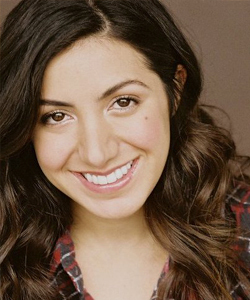 Priscilla Thorne Tinsley is an instructional assistant professor at the Jack J. Valenti School of Communication. Professor Tinsley has 26 years’ professional experience developing and executing effective strategic communication and crisis-management plans for numerous organizations. She holds an M.A. in communications (with a concentration in public relations) from the University of Houston. Professor Tinsley has been active in various professional and community organizations, and has served as president of the Houston chapter of Public Relations Society of America. Gabriel Martinez graduated with an MFA from Columbia University and attended the Whitney Independent Study Program in New York. He has been an artist-in-residence at Project Row Houses and a CORE Fellow at the Museum of Fine Arts, Houston. His work has been exhibited at the University of Houston Blaffer Art Museum, the Byzantine Chapel at The Menil Collection, Station Museum of Contemporary Art, and the Houston Museum of African American Culture. Dr. Conrad James received his Ph.D. in Latin American literature from the University of Cambridge. He has taught at the University of Durham and in the United Kingdom at the University of Birmingham. He has also held visiting positions at the University of Maryland and the University of California, Santa Cruz. Dr. James’s research focuses on the literature and visual culture of the Spanish Caribbean, and Afro-Hispanic cultural production. He is mainly interested in exploring what Caribbean and Afro-Hispanic sites of creativity reveal about racial thinking, the politics of movement, diaspora transformations and the emergence of new philosophies. 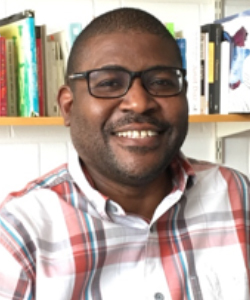 His current research includes a project titled Cultural Transactions in Cuban Literature and Visual Culture and another titled The Transnational Geographies of 21st Century Caribbean Narratives. 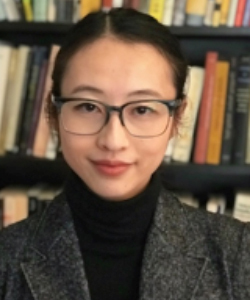 Dr. Melody Yunzi Li holds a Ph.D. in comparative literature from Washington University in St. Louis, a Master’s of Philosophy in Translation Studies from the University of Hong Kong, and a B.A. in English/translation studies from Sun Yat-sen University in China. She taught at Transylvania University and Lenoir-Rhyne University before joining the University of Houston as an assistant professor. She was also a visiting scholar at Harvard University. 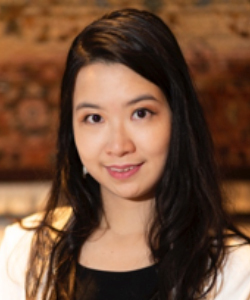 Her research interests include Asian diaspora literature, modern Chinese literature and culture, migration studies, translation studies and cultural identities. Her current project focuses on Chinese diasporic literature from the 1960s to the present. She has been published in various journals including Pacific Coast Philology and Telos. 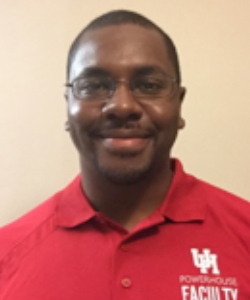 Dr. Alex Badas is an assistant professor of political science at the University of Houston. He earned his Ph.D. in political science from Indiana University. His research focuses on issues of judicial politics, public opinion, and political institutions. Some of his current research investigates potential for promotion among District and Circuit Court judges and how this potential influences various outcomes. Some of his other research examines how the public responds to Supreme Court decisions, and how conceptions of representation influence attitudes towards courts. He teaches courses in public law, including Introduction to Law, Constitutional Law, and Judicial Politics. Dr. Nikolay Marinov holds his Ph.D. in political science and a masterʼs degree in economics from Stanford University. Marinov's research is at the nexus of international relations and comparative politics. His published research includes work on post-coup political trajectories, peacekeeping, foreign aid and economic sanctions. Dr. Marinov received his B.A. from American University in Bulgaria. He has held teaching positions at University of Sydney, UCLA, and Yale. Prior to coming Houston, Marinov held the chair of empirical democracy research at the University of Mannheim in Germany. Dr. Luis Medina is a licensed clinical psychologist and cultural neuropsychologist. He received his B.A. in psychology from Yale University and his Ph.D. in clinical psychology/neuropsychology from the San Diego State University/University of California San Diego Joint Doctoral Program in Clinical Psychology. 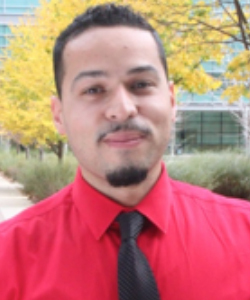 Dr. Medina completed his clinical internship at the West Los Angeles Veterans Affairs Medical Center (geropsychology track) followed by a postdoctoral fellowship in adult clinical neuropsychology at the University of Colorado School of Medicine. As a member of the Rocky Mountain Alzheimer’s Disease Center, he performed postdoctoral research in cognitive aging and neurodegenerative disease. Dr. Michael W. Williams earned his Ph.D. and M.A. in psychology (with a focus in clinical neuropsychology and advanced statistical methods) from Wayne State University, and his B.S. in psychology from Morehouse College. He completed his postdoctoral fellowship in the Adult Rehabilitation and Clinical Neuropsychology program at the Johns Hopkins University School of Medicine. 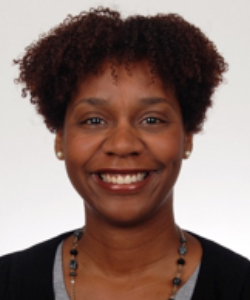 Dr. Williams currently serves as Early Career Representative on the Ethnic & Minority Affairs subcommittee within the Society for Clinical Neuropsychology Public Interest Advocacy Committee. Dr. Steven M. Nelson received his Ph.D. from the University of Arizona, and his J.D. from The Ohio State University. He joins the Department of Sociology after having taught sociology courses at Clemson University, Miami University, and Creighton University. 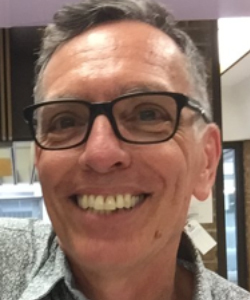 Dr. Nelson has made teaching a focus of his career and teaches courses in the areas of criminology, deviance, criminal justice, law and society, social psychology, and general sociology. His research focuses on the social psychology of crime and deviance, particularly the ways in which culturally derived meanings, language, and identities facilitate or prevent socially problematic behavior.